Powerwise Electrical is a small friendly business. 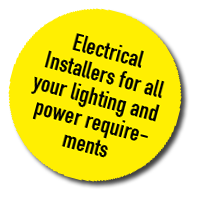 We are based in Brighton, East Sussex, with over 25yrs experience in domestic and commercial electrical installations and repairs. We take pride in all works undertaken. Powerwise Electrical – your electrician in Brighton and Hove. Upgrading of common way lighting/emergency lighting to the common ways to LED units to a block of thirty flats in Kemptown, Brighton. A twin two storey development on Westbourne Place in Hove. Part of the Brighton Station redevelopment, comprising of one replacement café and one new café. A two storey extension (6x rooms, 1x kitchen and 1x two bedroom flat) and one conversion consisting of three self contained two bedroom flats at Hurstpierpoint College in Hurstpierpoint. A four storey Grade 1 listed building rewire in the Hanover area to include computer networking and TV/Sat distribution throughout. A rear extention for a local Architect to include lighting, power, electric window controls and a heating control system. We undertake all minor and major domestic and commercial works, large or small. We are experienced in wiring new build houses and re-wiring existing home installations (Powerwise have recently completed 7 new builds in Woodingdean, 5 new builds in Lewes and 2 new builds in Brighton along with several full and partial refurbishments in Brighton & Hove areas). Our commercial works include the Concorde II nightclub and City College at sites including Stanley Deason School, Connaught Road College and Pelham Tower. Powerwise Electrical regularly liaise on site with building contractors. NO JOB IS TOO SMALL and our prices are reasonable! Would you like to control your home from your iPad/iPhone or Smartphone? We can fully automate your home for you. Powerwise Electrical is a registered member of the Electrical Contractors Association (ECA) and is Part P Compliant. All works include notification to local council building control in accordance with Part P/17th Edition Regulations where applicable. All domestic works carried out include a 6year warranty from the ECA. In line with new Part L Energy Regulations all attempts will be made to provide energy efficient installations and repairs. Powerwise Electrical have been awarded ‘Trustmark’ a government endorsed standard, registered through the ECA. We provide useful links on our link page, please click here to take a look.